The Pneumatic Air Tapping Machine AQ-12-950 comes with a Tap size 3mm-12mm. 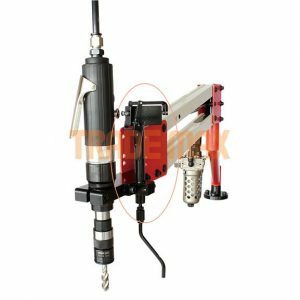 Furthermore Buyers will find the work range from the mounting point for this model is 100mm-950mm. The rpm speed for this machine is 400. 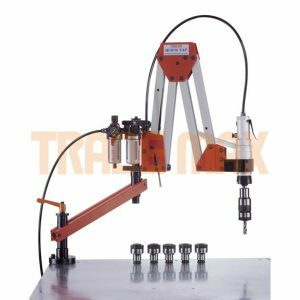 Another feature is that it has two arms; a stretch and slanted arm. 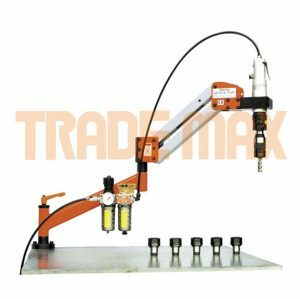 As a result this allows for a range of workable reach. 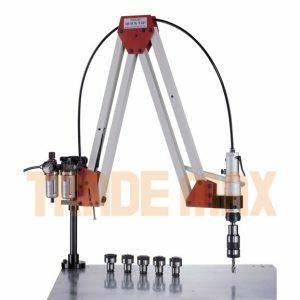 In addition it comes standard with a pneumatic tapping spindle and air unit. 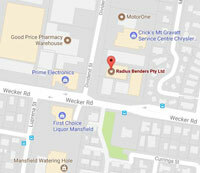 Purchasers find this model needs to be attached to a flat surface with 10mm screws as it has a table mounting column. 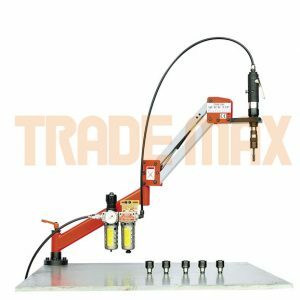 AQ.AS.AT12-90 Pneumatic Various Angle device (90 Degree and various degree tapping device) - allows the purchaser to rotate the tapping tool to various angles for tapping. 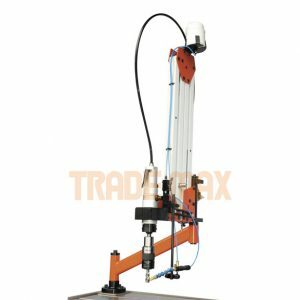 TLM-300 Portable and moveable magnetic base - allows the customer to move the tapping machine to material that would not otherwise be able to be tapped. 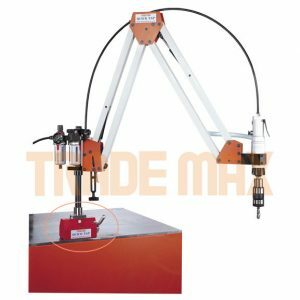 The magnet clamps to a metal base via a lever. 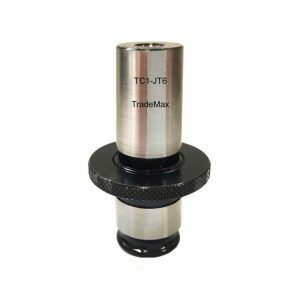 Therefore you can mount the tapping arm to the magnet so you can tap the material where required. 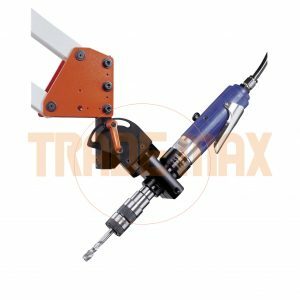 TM800037 Auto reverse device - allows you to set depth of tap so that the tapping head automatically reverses out when it has reached it's maximum depth. 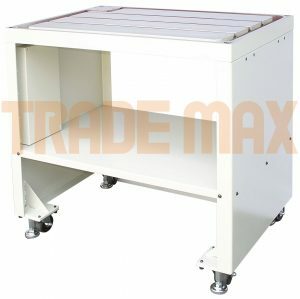 TM800032 Cast Iron Work Cart - able to be moved around and stabilized with legs that can lock into place. 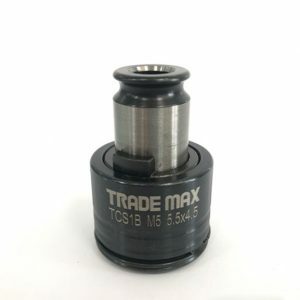 8H Drill Chuck - Turn your tapping machine into a 0-8mm (0-5/16") drill. 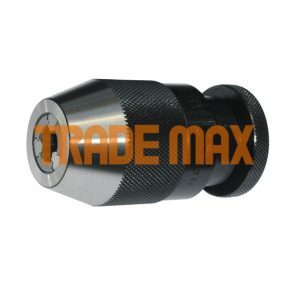 You will also require the TC1/JT2 Drill Chuck Adaptor. 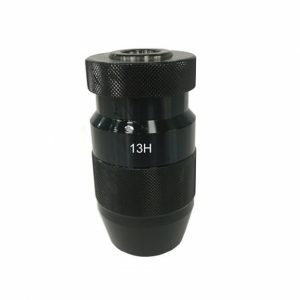 13H Drill Chuck - Turn your tapping machine into a 0-13mm (0-1/2") drill. 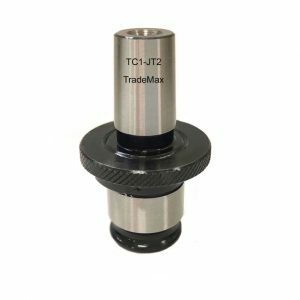 You will also require the TC1/JT6 Drill Chuck Adaptor.